Revel in me...: Begone, bad hair days! Usually, if you see me with my hair in an updo, it could only mean one thing—BAD HAIR DAY. 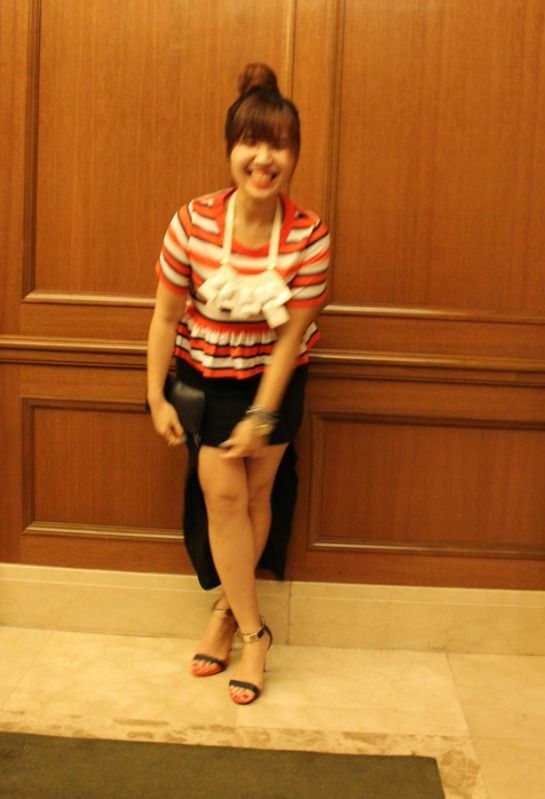 Skirt from AZORIAS, peplum top coming soon on AZORIAS. Yes, pretty outfits, but ugly hair. :( I have rebonded my hair end of last year, and the effects have slowly worn off. I have no plans to rebond it anytime soon though as I know it’s really bad for my hair-- but the trade-off is that I am often ashamed to leave my hair down. 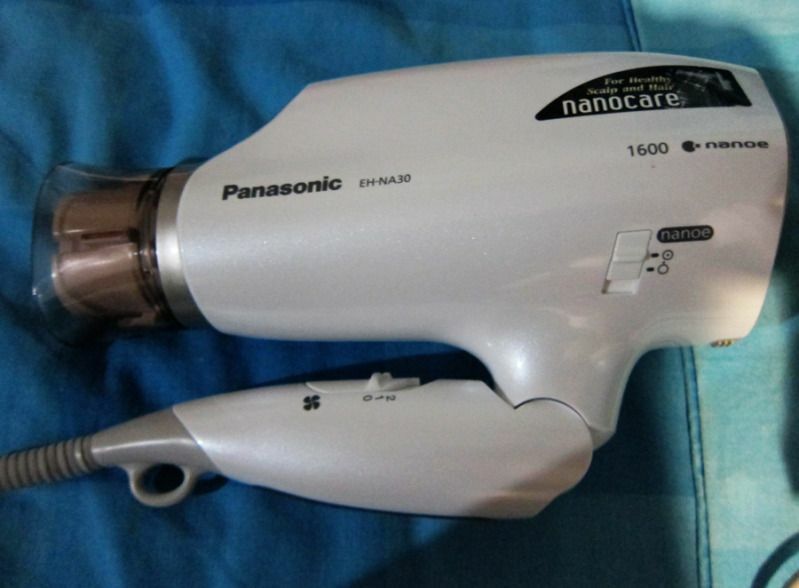 Thus, I was ecstatic when I was introduced to the Panasonic Nanocare Hair Dryer. I have to confess right here and right now that I am not a fan of hairdryers. I have really thick hair (my sisters and I have compared before, I have like 3-4 times more hair than them. -___- Disclaimer: Head only ar wtf), and blowdrying my hair is typically an unpleasant, drawn-out chore. Worse still, hair dryers usually leave my hair very dry and frizzy, which is a nightmare when my hair is already poofy from the volume! However though, the staff at Panasonic actually told me that my life will never be the same again with this hairdryer. When I heard that, I was like , and she was like . I read up a little on why this hairdryer is called a ‘miracle product’ by the people who have used it, and I learned that this is because the hairdryer actually draws moisture from the air to produce nano-sized moisture icons that will infiltrate hair better—making hair glossier and healthier. 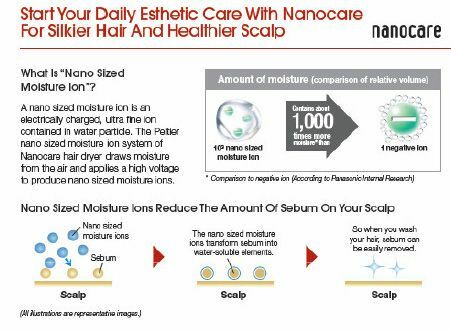 Using the Nanocare hair dryer also helps to reduce the amount of sebum on our scalps—perfect for people who have dandruff! I.e. me FML. I have a mild dandruff condition since I dyed my hair recently (hairstylist was forced to leave the hairdye for super long on my scalp as my hair was being stubborn and didn’t absorb the color), and as a result my scalp was irritated. 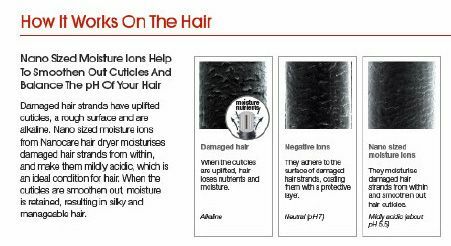 In fact, tests have shown that with usage of this hairdryer, moisture in the scalp has increased by 15%, and sebum has gone down by a whopping 75%! Getting more and more excited to try out this hairdryer! Also, as hair is moisturized from within, it makes our hair midly acidic—which is actually the ideal condition for hair (I didn’t know this!). It also works to protect our hair cuticles. In short, the nano-sized (1 over one billion!!) moisture functions in many ways to result in silky, smooth hair! Panasonic Nanocare Hairdryer, you have found a new fan in me. I wish that the video has a 4D effect wtf, ‘cause if you can touch and stroke my hair, you will understand why I am going gaga over this hairdryer. I don’t think I have ever achieved this type of results at home without going to a hair salon! Retailing at RM239.90, it may seemed pricier than a lot of the hairdryers in the market—heck, that was my first thought when I first saw it. But I guarantee you, this is a hairdryer like no other. Teeny has also tried it out, and even she, the ultimate cynic wtf, agrees that the hairdryer really delivers what it promises. Community service message: She also would like me to tell you guys that it is a lot quieter than most of the hairdryers she has tried wtf. It is also foldable, so you bet I am going to bring it with me to ALL my trips. Your nails really cannot make it wtf!! This hairdryer seems to be able to tame yr mane hahaha!